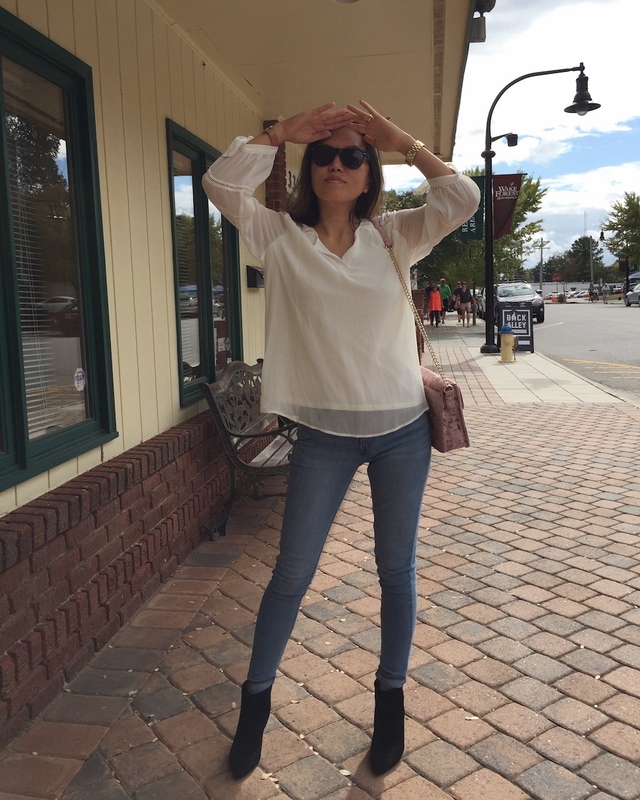 You are here: Home / accessories / What’s Your Off-Duty Style? My off-duty looks don’t really differ much from workdays frankly. Luckily, my latest business project requires more frequent trips which forces me to try out new wardrobe pieces. Fun! Two essential pieces that I usually wear and enjoy the most are jeans & boots. My love affair with both go all the way back to my high school years. Certain things never change I guess. They are simply timeless, like LBDs. Fall season brings a giant dose of excitement to our lives and fashion isn’t an exception in that regard. Just being able to layer your favorite pieces without sweating is a bliss. And nothing is a more welcoming part of autumn than a new pair of boots (or a jacket). The yummy fall attire above can also be your casual workwear. It looks as good as golden autumn leaves. Where is the fun in fashion without the accessories? They truly are like the icing on the cake. 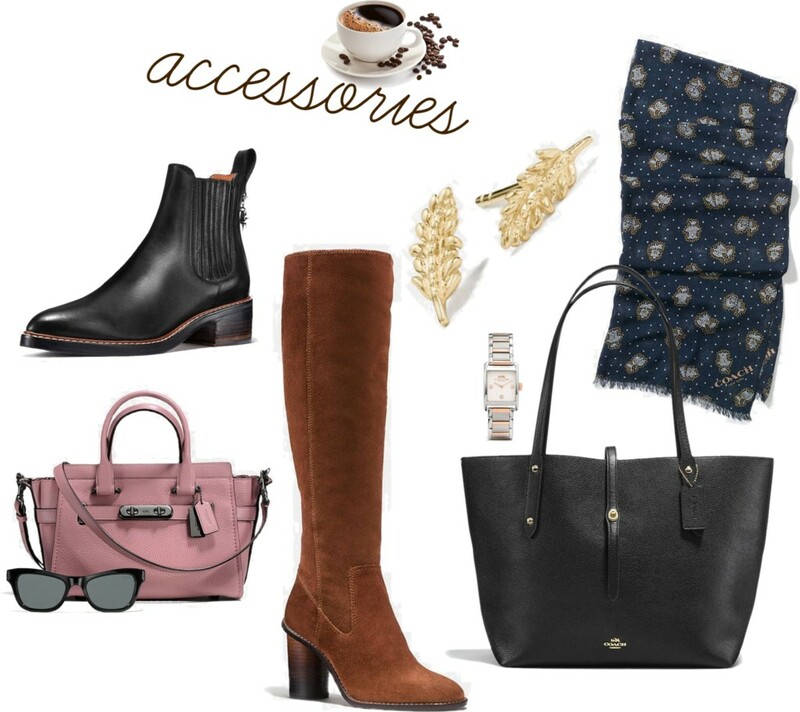 Even a couple of these items can really enhance your fall ensembles whether it’s a sleek tote or printed scarf. Treat each outfit as a new occasion with different accessories – switch it up! The weather here in North Carolina is finally starting to feel like autumn. Although the temperature is not low enough for a jacket. Perhaps we can start cozying up in some chic outerwear starting in November. I can hardly wait!